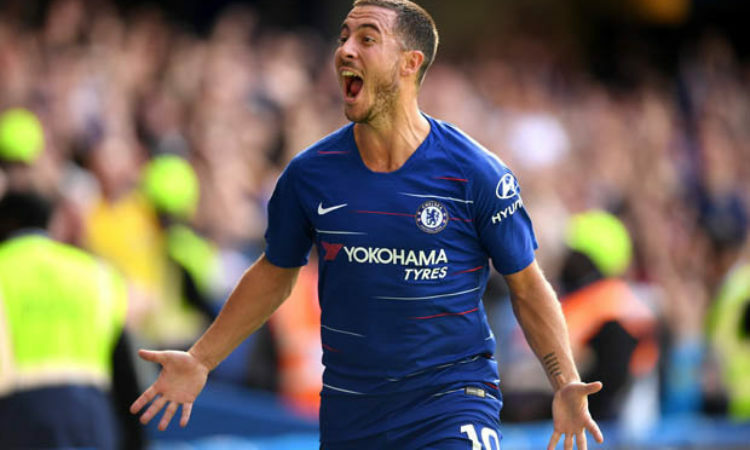 Eden Hazard has been the biggest beneficiary of Maurizio Sarri style of football in the current league, with strings of consistent performance which has made him the current highest goal scorer in the current league season. The Belgian international has defied all the logic with his superb performance despite playing out in the World cup in Russia. Craig Bellamy critical of the immense quality possessed by Hazard, has stated that the former Lille attacker plays “school yard football”, a style of football which makes him be of the view of a “rubbish school kid” when he played against opposing players on the pitch. Craig Bellamy is not far from the truth as he has been difficult to curtail and outplay as he easily dribbles through players as well as commit them. Players have lacked the confidence to go head on with him especially when he is with the ball, as he has evolved completely from the Lille player that arrived to the London club six years ago. The Belgian has also been the focal point of Maurizio Sarri’s Chelsea team with the highest contribution to the club’s goal chart making him a goal threat in every fixture he participates in. Chelsea will host Manchester United after the international break, with Eden Hazard expected to lead the Blues.